It is no secret that the cinema canon has historically skewed toward lionizing the white, male auteur. Beyond the Canon is a monthly series that seeks to question that history and broaden horizons by pairing one much-loved, highly regarded, canonized classic with a thematically or stylistically-related—and equally brilliant—work by a filmmaker traditionally excluded from that discussion. This month’s double feature pairs Oscar Micheaux’s Body and Soul (1925) with Charles Laughton’s The Night of the Hunter (1955) on Sat, Oct 13 at 4:30pm. Oscar Micheaux’s Body and Soul (1925) and Charles Laughton’s The Night of the Hunter (1955) are separated by 30 years and the contrasting size of their respective reputations, but this pair of sumptuously dark, thrillingly strange fables nestle nicely together in their own particular sub-genre of film curio history: the wayward preacher feature. 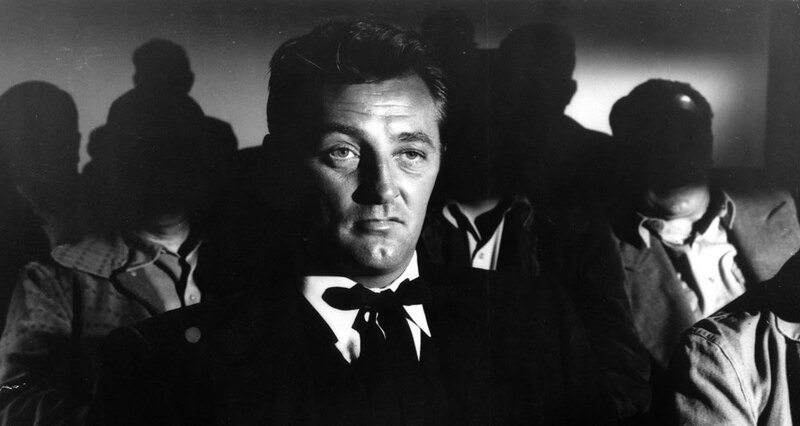 In Laughton’s suspenseful and often dreamlike film, adapted for the screen by James Agee from the novel of the same name by Davis Grubb, Robert Mitchum incarnates one of the screen’s all-time great villains. Projecting a snaky charm as easy as it is sinister, Mitchum is Harry Powell, a self-declared itinerant preacher who also happens to be a ruthless con artist, manipulative misogynist, and murderer. Only over decades did the film’s reputation gather steam, finding admirers of its moral gray areas and admirably daring avant garde visual style. One of its most striking sequences, Powell’s rendition of the story of “L.O.V.E” and “H.A.T.E”—those letters emblazoned on his knuckles—was directly quoted by Spike Lee through his character Radio Raheem’s gold knuckle rings in Do the Right Thing (1989). Three years after Lee’s film, The Night of the Hunter was inducted into the United States Library of Congress National Film Register, and it has since shown up regularly in the higher echelons of various “greatest film” polls conducted by the likes of the American Film Institute, British Film Institute, and august French journal Cahiers du Cinéma. Robert Mitchum in The Night of the Hunter (1955), photo courtesy of Park Circus. Alas, a similar level of notoriety has escaped the searing Body and Soul, which was written, produced, and directed by Oscar Micheaux, the indefatigable and prolific godfather of African-American independent cinema. The Illinois-born Micheaux was a key purveyor of "race movies," a term for films which featured all-black or predominantly black casts and were marketed to black audiences, often, of course, in legally segregated areas. 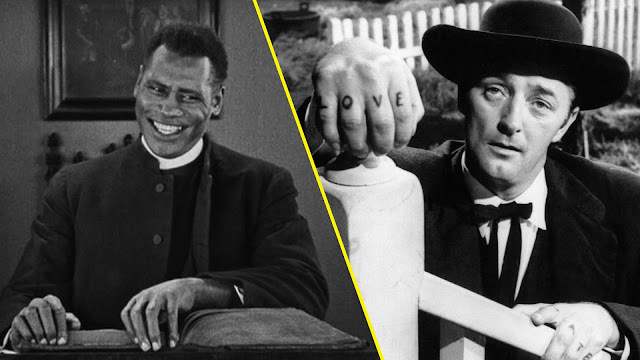 I don’t know whether Laughton ever saw Micheaux’s film, but the connections between it and The Night of the Hunter—the complicated, prickly portrayal of religious faith, those monstrous central performances, a chiaroscuro mood of moral turpitude, their narrative unpredictability—are deeply striking. Taken together, they represent two fascinating checkpoints on a continuum of American cinema preoccupied with exploring the grim potential of faith, wielded by the wrong hands, to deceive and distort. Ashley Clark is senior repertory film programmer. © 2018 Brooklyn Academy of Music, Inc. All rights reserved.